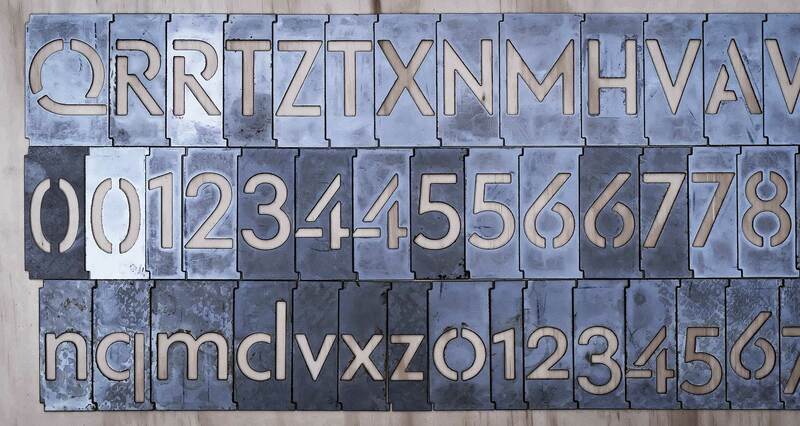 The Riks stencils, completing Sindre Bremnes’ Telefon family, is in part based on the seven letters adorning the sides of the telephone kiosk by the same name, designed by architect Georg Fredrik Fasting in 1932. In Bremnes’ all-purpose Telefon typeface the original stencil ‘O’ is relegated to a stylistic set – in Riks its stencil logic is applied to the entire character set. 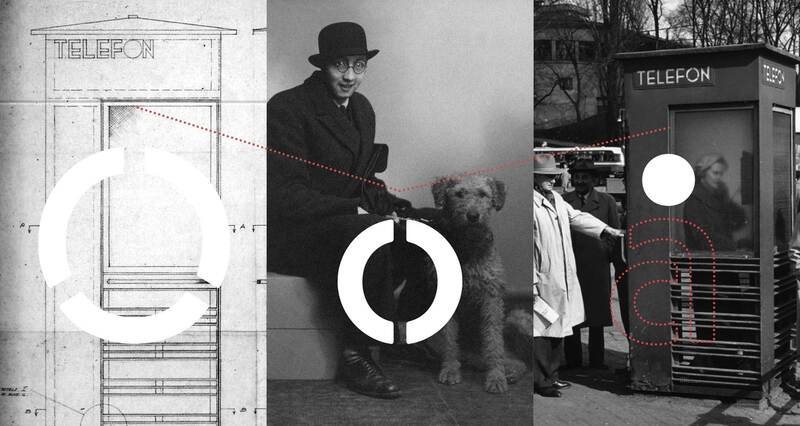 Fasting submitted his drawings for the competition to design a new public phonebooth announced by Oslo Telefonanlegg in 1932. 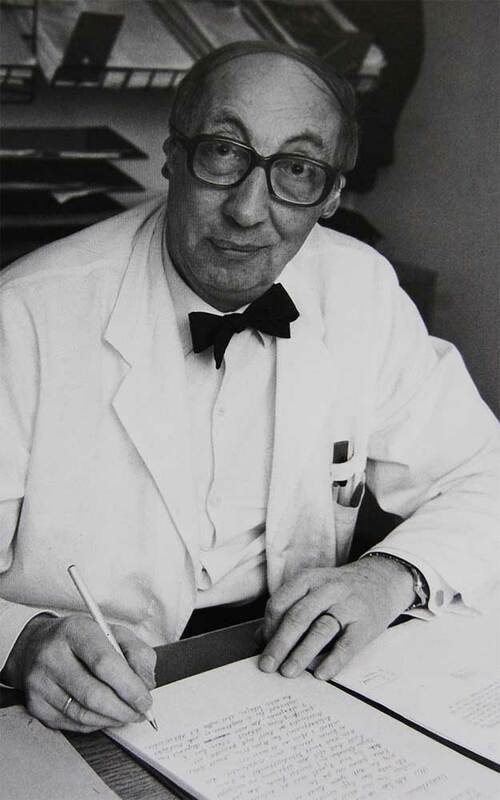 His winning design, Riks, would since become an icon of Scandinavian Functionalist architecture, following only two years after Svenska Slöjdföreningen’s influential 1930 Stockholm exhibition. There is a certain irony to Georg Fredrik Fasting’s story. While his fellow countrymen embraced Riks, he himself could not use his own creation – he was born without ears. Coming from a family of workers and smallholders in Bergen, Georg entered this world a shy and secluded character. This changed in 1959, when the 56 year old Fasting’s diary contains a remarkable entry: “I CAN HEAR!” The designer of a beloved telephone kiosk was the world’s first person to have ear canals surgically constructed and eardrums fitted. 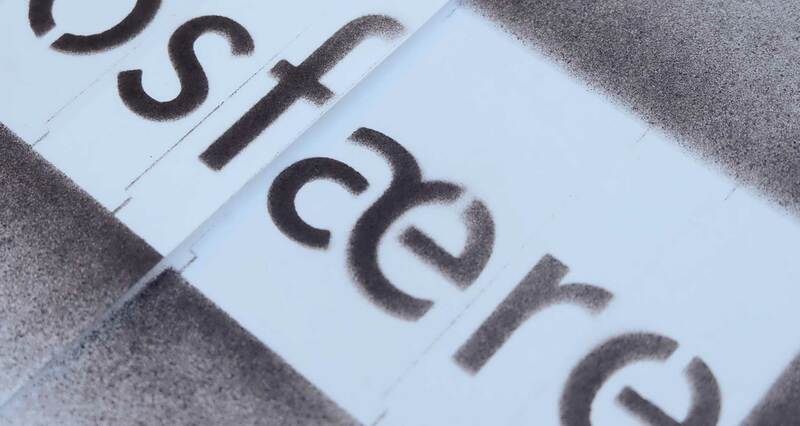 In addition to the free digital fonts, a limited set of 200 pt stencils are available for loan for Norwegian customers. Please contact us if you are interested. The Riks stencil fonts are available in two styles: Normal and Negativ. 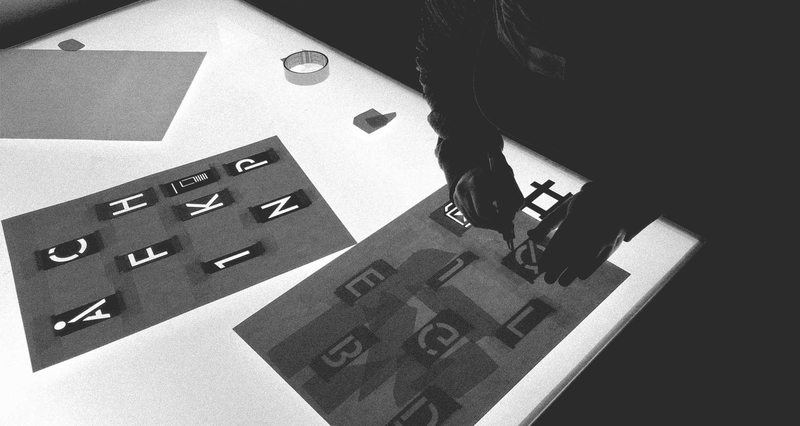 The latter offers master drawings for producing typographical stencil letters capable of reproducing any text. And it works, of course! 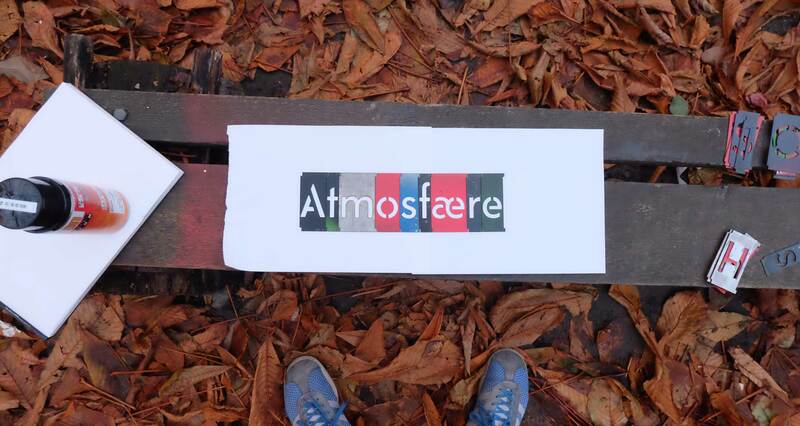 We have produced a pared-down set of water-cut steel stencils, suitable for typesetting Norwegian texts, in 200 points. Don’t hesitate to give us a call if you want to put them to use for a project! 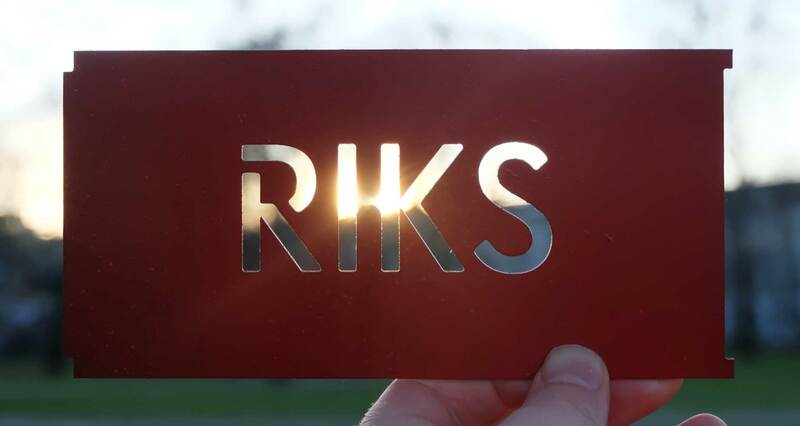 Why is Riks free? There are two reasons: Firstly, we want more people to notice our work, and Riks, being a relatively simple production (or so we thought) derived from an older design, seemed fitting for such a giveaway. Secondly, we consider these letterforms a piece of Norwegian cultural heritage and thus only fair to offer free-of-charge to the general public. If you want to support the production of stencil cuts in additional characters and sizes, please consider purchasing a Desktop license instead of the default Gratis license.